Should Sammy Get a New Deal? Newcastle are facing yet another summer of squad rebuilding as there isn’t enough quality or depth at the moment. 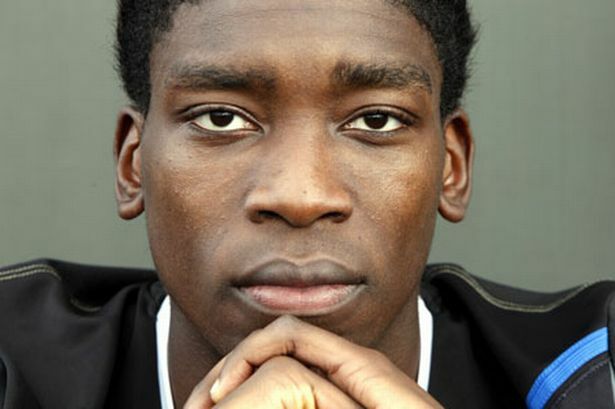 The majority of the current first team squad are tied down to long deals, but one player who is out of contract in the summer is Sammy Ameobi and the club must make a decision whether to renew it or not. He isn’t the most popular player in the squad amongst the fans, but he has been starting in recent weeks and could offer something to the club for the coming years. The main problem is that it isn’t clear who is in charge of deciding which players are going to stay at the club next season as the managerial situation is far from clear. John Carver may have an input on this, but it would be foolish to give him complete control, especially if the club are going to go another direction in the summer. Evidence suggestst that Carver is a big fan of Ameobi and would be an advocate of giving him a new deal. However, the fact that he has yet to sign a new contract suggests that it isn’t Carver who is in control of this decision. He will be 23 in the summer and at that age, he should be progressing into a player who could cement a first team place, but that looks unlikely for Sammy. His decision making in the final third is questionable at times, while he is very inconsistent when it comes to beating a man. In some matches this season, Hull in particular, he can look excellent and beat players up and down the pitch. On the other hand, he has matches when he looks out of his depth at this level. Sammy has two goals and two assists in the league this season from 19 matches, which really isn’t good enough for a winger. This is partly due to his poor decision making and partly due to the team being poor in front of goal in general. He needs to work on his crossing and passing as neither are up to the grade of a Premier League winger. Moreover, he must learn to not hold onto the ball as much as he does, especially in our own half as there have been occasions when his lack of awareness has caused us issues. The squad at the moment doesn’t have an array of wingers with only Rolando Aarons, Yoan Gouffran and Gabriel Obertan the other options in the squad. Remy Cabella can play there, but he prefers playing centrally, while Jonas Gutierrez is likely to leave in the summer. Aarons is probably the player who has the most potential to be a quality winger in the Premier League, but he is constantly struggling with injuries. It’s an area which we must improve in the summer, but with the club unlikely to bring in more than one winger, losing Ameobi could be a real blow to the squad. In an ideal world, I’d want the club to let Ameobi go as he has never fulfilled his potential here. However, the club aren’t likely to bring in a replacement for him, in addition to an out-and-out first team winger. As a homegrown player with plenty of years ahead of him, Ameobi could prove to be a solid squad player for years to come. If he signs a new contract with the view to becoming just that, then fine, I can see the benefits, but if the club give him one and then don’t sign the quality winger we need in the summer because of it, then it is a worry.